Pete of CasperElectronics needs your help in coming up with the best logo. 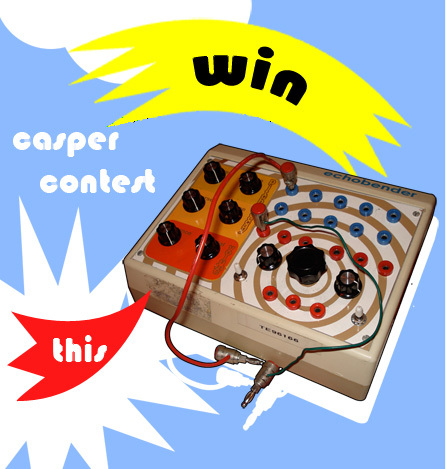 Submit your suggestions to contest@casperelectronics.com and you may win an “Echo Bender Fx Console”! Winner will be selected on April 1st, just in time for the Bent Festival. No purchase necessary, void where prohibited, must be… yada yada yada. Good luck.